When you visit a webpage, some parts of its content will be delivered by domains separate from the one you are actually visiting. Some of these elements contain trackers that send information to third parties about your browsing habits, often for the purpose of displaying ads. Not only can it feel like a violation of privacy, it can also result in longer page load times and wasted bandwidth. While advertising helps to support the accessibility of web content, including keeping some of your favorite sites up and running, not all tracking is welcome. Thankfully, there are a plethora of tools at your disposal to help you browse more privately, minimize the presence of annoying ads, speed up page load times, and decrease data consumption. The extensions that we’re going to cover in this post prevent tracking of your browsing activity by third parties. Depending on the extension you choose and the settings you configure within it, it will block certain ads from being displayed. Most also offer other features, such as blocking analytics and preventing tracking by social media platforms. So how exactly does this work? Cookies are small text files that hold data, and in many cases are used to make browsing more user-friendly, such as to keep you logged into a website, or remember items in a shopping cart. Tracking cookies are a particular kind of cookie that do a little more than store data on your computer. These cookies typically go a step further and send information about your browsing to another party. Tracking cookies are often used by advertisers in order to show you targeted advertisements at optimal times, such as after you have visited a particular website. The actual trackers that log and relay this information can be embedded in various elements of a webpage that are delivered by the third party. Anti-tracking extensions can detect these trackers and their sources. They can then block them by preventing the source from loading content. Without being able to load its content, the source can’t track you. Now that we know about how they work, let’s get to finding out more about the extensions themselves. As implied by its name, Adblock Plus is first and foremost used for blocking ads. Whether you find ads annoying or prefer them not to pop up revealing your browsing history, this is a handy extension to deploy. This desktop extension is available for nine different browsers, including Chrome, Firefox, and Safari. There is also the Adblock Browser derivative available for Android and iOS. Adblock Plus, however, doesn’t block all ads by default. You need to apply a set of filter lists according to your preferences. One default filter list that’s applied is the Acceptable Ads list. As outlined in its acceptable ads policy, Adblock Plus aims to encourage advertisers to produce non-intrusive ads. They do this by only blocking the most annoying banner and popup ads and allowing ads that meet certain criteria, such as appropriate placement, distinction from other content, and acceptable size. It should be noted that this policy is used to monetize Adblock Plus and companies are charged a fee to be ‘whitelisted’, provided their ads meet the criteria. However, if you don’t support this policy, and would prefer to browse without seeing any ads, you can simply disable the Acceptable Ads option. You can also create your own filter lists to choose to see certain ads. 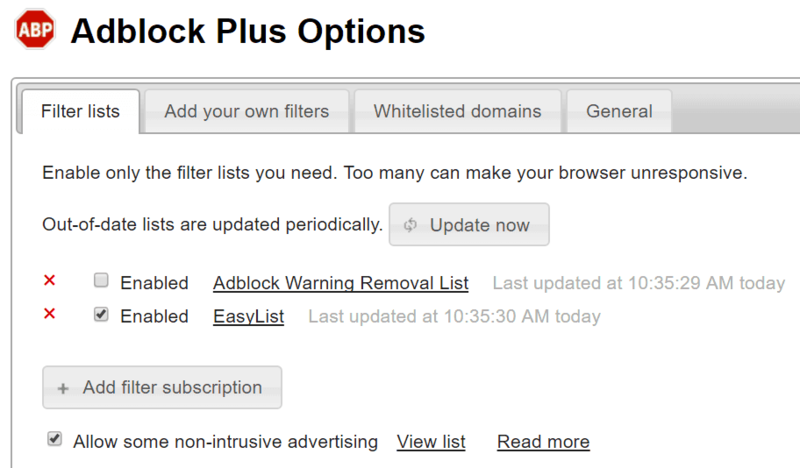 Aside from ad blocking, Adblock Plus also offers the option to avoid tracking in order to browse more anonymously. 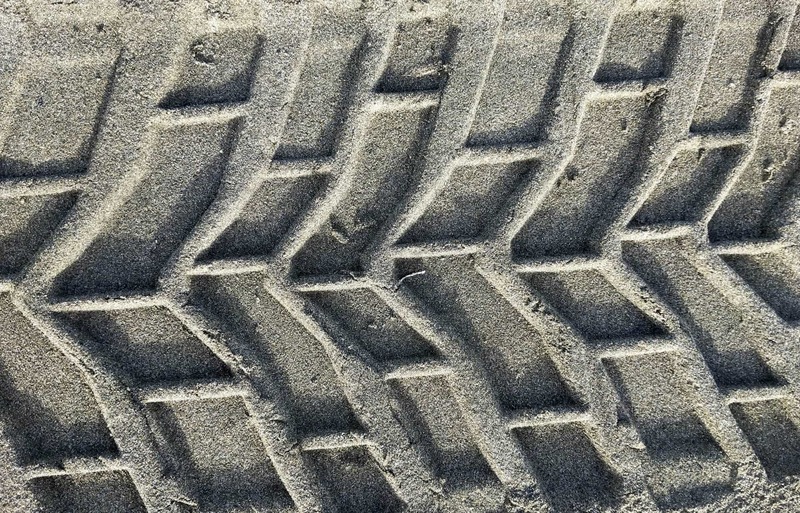 You can also disable malware domains to help protect your computer from cyber attacks, viruses, and other potentially harmful intrusions. Finally, you can disable social media buttons on the pages and posts you browse. While these might seem harmless enough, even if you don’t click them, some of these buttons send information about your browsing history to the various social media platforms. This extension is open source and completely free for all users. All in all, it gets the job done and can be tweaked according to your preferences. Some users may not appreciate the fact that it doesn’t do a lot by default, but the user-friendly interface means that customization is relatively straightforward. Disconnect is a private browsing extension available for Chrome, Firefox, Safari, and Opera. It has two options in its basic (free) package: private browsing and private search. Private browsing will allow you to block ads and prevent tracking by the websites you visit and third parties. Aside from blocking trackers, this tool also enables you to visualize the connections that websites attempt to make and choose which ones you want to continue to block. You can also easily select whether you want to whitelist or blacklist each individual site. Using the default settings, Disconnect claims to be able to make pages load 44 percent faster and use 39 percent less data to deliver content. The private search extension enables you to block search engines and ISPs from tracking your search data. Unfortunately, Google is not currently an option for use with this extension, so you’ll have to choose from DuckDuckGo, Bing, or Yahoo. With its easy-to-use interface and comprehensive default tracker blocking, it’s no surprise that Disconnect was named best privacy tool by the New York Times last year. This open source extension is developed by a private company and operates under a ‘freemium’ model. As such, the basic free package only covers tracker blocking and private search for one browser. However, if you want to block trackers and malware for your entire device, you’ll have to pay a one-time fee of $24.99 (GBP £19.40). There is also a premium package available which includes wifi protection and location-masking via a Virtual Private Network (VPN). This will set you back $50 (GBP £38.82) per year for three devices. uBlock Origin is a fork of the original uBlock and is maintained by the original author. It’s available for Chrome and Firefox, and is a fairly similar offering to Adblock Plus and Disconnect. However, the fact that it’s created and maintained by volunteer developers might give it an edge. One of the major advantages claimed by uBlock Origin is that it’s easier on memory than other adblockers. Four filter lists are enabled out of the box, including EasyList, EasyPrivacy, and Malware Domains, and you can add more as you go. Just bear in mind that the memory required will increase as you add more lists. The dashboard for this extension includes some slightly obscure options such as Element Picker Mode and Element Zapper Mode. While it’s not immediately clear what some of the features enable you to do, a quick read-through of the documentation will have you on your way fairly quickly. uBlock is open source and completely free, and if you’re worried about memory, then this might be the best option for you. However, with a slightly less intuitive interface than other extensions, it may take a while to get used to. 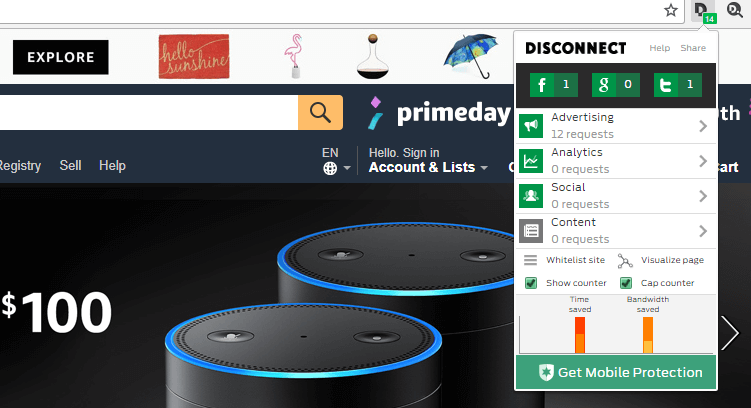 Similar to others, the Ghostery browser extension will detect and block tracking technologies in order to provide you with a faster, clutter-free, and more private browsing experience. Not only is this extension available for seven different browsers, including Firefox, Edge, and Internet Explorer, but there are also mobile versions for Android and iOS. There has been some resistance to this extension over the years due to its questionable business model. While on the one hand it was blocking ads, another part of the company was earning revenue by working with advertisers. However, this appears to be less of a concern now that the privacy extension has been acquired by German company, Cliqz. Getting set up with Ghostery is simple and intuitive. It provides a comprehensive list of all trackers that it can block from the outset, enabling you to choose exactly which ones should be blocked before you even begin browsing. You can block them one-by-one (tedious since there are thousands), or you can block all in a category (eight categories in total). Alternatively, you might want to start with selecting Block all and go from there. There are also lots of general settings options, so you can tailor the behavior of this extension to suit your preferences. One perk of Ghostery is that is can be synced across all browsers. This is particularly useful if you switch regularly and don’t want to go to through hassle of updating your settings within each one. If you’re looking for a highly yet easily customizable option, Ghostery will definitely do the job. Upon installation, Ghostery does request access to your browsing and usage data for its own use, in order to improve its products. While some users have been put off by this, you can easily say no to these requests when you first install the extension. One more thing to note is that in order to sync your settings across browsers, you will have to create an account using an email address and password. This extension was created by Electronic Frontier Foundation (EFF), a nonprofit digital rights organization. The mere fact that its creators aren’t out to make money gives this extension a leg up when it comes to credibility. However, the motives behind the extension also mean that it might not be as effective as you’d like. Available for Chrome, Firefox, and Opera, Privacy Badger is an extension that does things slightly differently to others on this list. 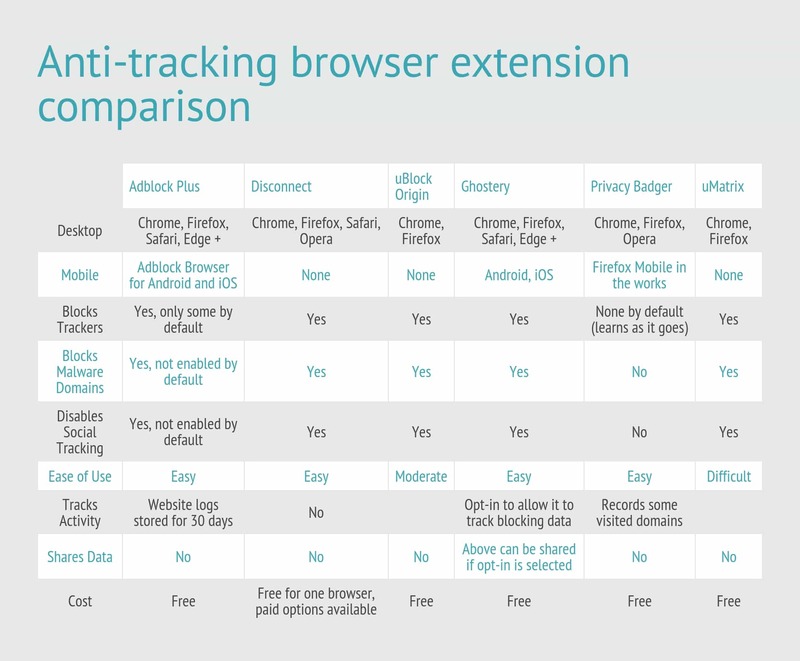 If you’re looking for a ready-to-go out of the box anti-tracking browser extension, then this might be the one for you. Privacy Badger hangs its hat on the fact that, unlike most other extensions, it doesn’t require any configuration in order to work. You can simply install it and you’re good to go. 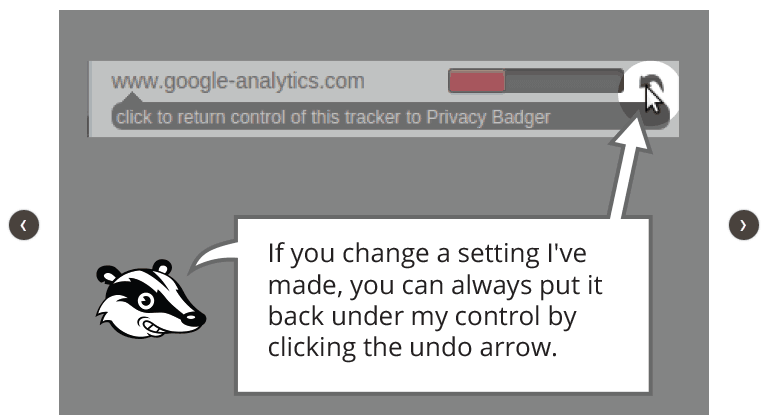 Also unlike other extensions, instead of using lists, Privacy Badger uses algorithmic methods to decide what to block. If it sees that a particular source appears to be tracking your activity across different websites, then it will block that source. This prevents your browser from loading the source’s content and stops the source from tracking you. It will learn as you browse, so it won’t block anything immediately, but will get more efficient the longer you use it. It will also decide to only partially block a source if it thinks completely blocking it will break the site. You can control this feature by applying partial blocking if you think full blocking is affecting the site. Even though it’s super simple to use, Privacy Badger provides you with an easy-to-follow detailed walkthrough as soon as you install. One issue that has been raised with Privacy Badger is that due to the nature of its “learn-as-it-goes” algorithms, it actually records some of the domains you have visited. This is something that is being addressed, but has yet to have been resolved. A related issue is that the extension can’t record domains if you’re in private browsing mode and thus won’t work. If these issues don’t bother you and you like the sound of Privacy Badger’s blocking criteria, then you should definitely go ahead and give it a go. It’s free and the no-nonsense setup and ease of use means that you can be up and running in no time. However, if you’re looking for a more robust solution, that is, one that blocks all ads, then you might be better off going with a traditional ad blocker, such as Adblock Plus. If you’re a Microsoft Edge user, there is a version of Privacy Badger in the works for you. Or if you’re hoping to see something similar for mobile, there’s a version in development for Firefox Mobile. You can blacklist or whitelist whole sites, individual rows or columns, groups of rows or columns, and more. 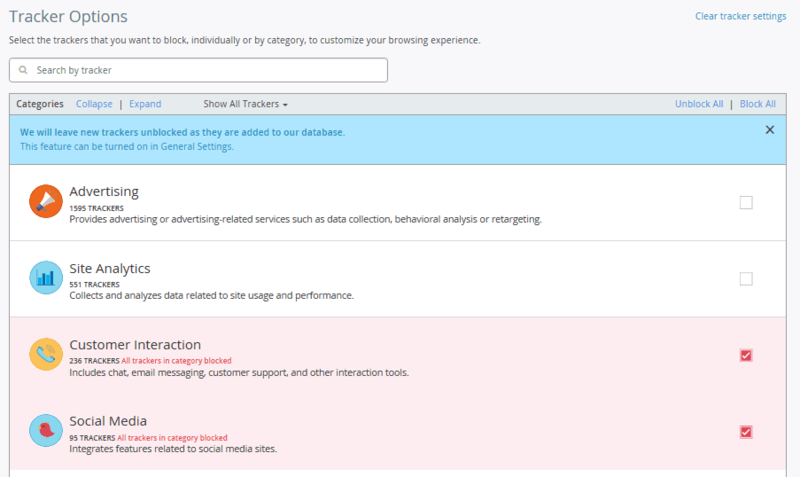 You can also use scope rules to enable you to access certain sites, but block them from tracking you on other sites. While there are a ton of options and a pretty overwhelming interface, uMatrix makes configuration simple with point-and-click selection. The mode that it uses out of the box will mean that sites requiring third party scripts might break. However, this can be changed with a couple of clicks, and further customization can be carried out from there. For users simply wanting a little more privacy and to block ads, uMatrix might be a little too hands-on and time-consuming. However, if you want full control of your browser activity, and have the time implement it, this extension is probably the most robust in terms of customization and the information it provides. When considering your options, bear in mind that you don’t necessarily need to choose just one extension. If you want a combination of features, many of the extensions can work alongside each other to give a more comprehensive list of options. For example, one popular combination is Adblock Plus and Disconnect. Also, uBlock Origin users often also install uMatrix, one of the appeals being that they were both developed by the same original author. Of course, there are a couple of downsides to utilizing more than one extension. Each will take up memory, so if that’s a concern for you, you may want to choose just one or look for the most lightweight pairing. There is also the hassle of altering settings in two extensions instead of just one, which becomes increasingly more complex as you get into the advanced extensions such as uBlock Origin and uMatrix. In practice, it really comes down to personal choice and it’s worth experimenting with various combinations to find out what’s the best fit for you. Moreover, many of these are updated regularly, so you may find yourself switching over time as features are added or usability is improved. There are a plethora of reasons you might want to prevent browser tracking, including to protect your privacy and to prevent annoying ads. Thankfully, there are plenty of browser extensions available to help you out. The problem lies in choosing the one that is right for you. Adblock Plus: Primarily an ad blocker that also protects against tracking and malware. Disconnect: Provides an easy-to-use visual interface but requires a fee for use with more than one browser. 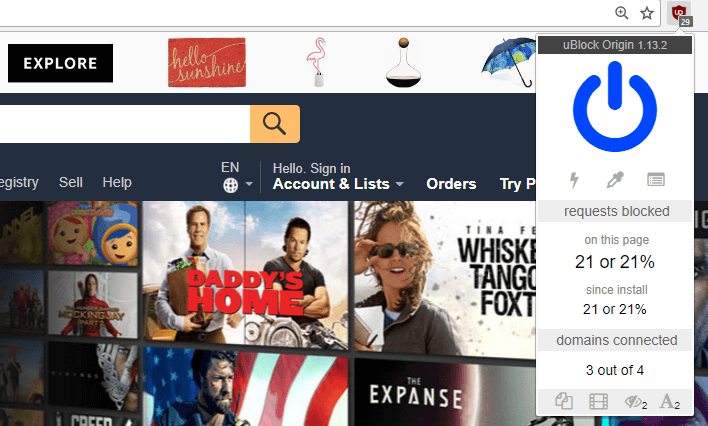 uBlock Origin: Offers a less intuitive interface but saves on memory. Ghostery: An easy-to-customize extension that can be synced across all browsers. Privacy Badger: Provides limited blocking but uses an algorithmic method to learn and block more efficiently the longer you use it. 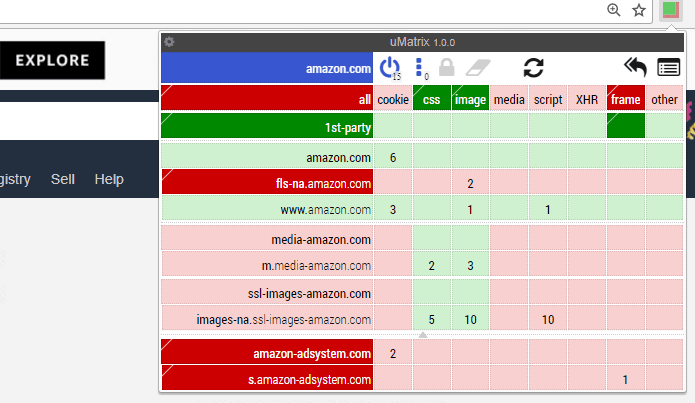 uMatrix: A tool for the advanced user that gives you full control over your browser activity. See also: 75+ free privacy tools and our list of the best VPNs to keep you private online. Do you have anything to add about any of the extensions we’ve covered? Let us know in the comments section below!